In 1981 I came to visit my friend Neneh Cherry and found her in a squat in Battersea. Ari Up lived there and so did a man whose first words were, "do you drive"? I answered yes and he said, "you're coming with me." And so I met Adrian Sherwood. It was the start of a life-long friendship. We drove to a reggae shop and dropped off several boxes of records. While Adrian did his business I picked through the merchandise. I found a Count Ossie record I wanted and, as we left, Adrian held it up and shouted, "I'm having this". I was, in my jet fatigued and sleep deprived way, instantly in love with Adrian Sherwood. I still am. Adrian was the first person I met that was my age and making important music. He was, and still is, the real deal. Six years later I had a record stall on Portobello Road. A friend and I sold mostly reggae singles. During the week we trawled charity shops, boot fairs, jumble sales and street markets. You could still do that back then. Buy rocksteady singles and Black Ark twelves; there were boxes of records everywhere. All it took was time. Every week we'd meet and go through what we'd found. We always had stacks of stuff; Jamaican releases, white labels, rare groove, soul and funk. The difficulty was not keeping all the good stuff for yourself. This record reminds me of that time. Joseph Hill, the singer and songwriter in Culture, sang like a country singer. A raw intensity that never faltered. 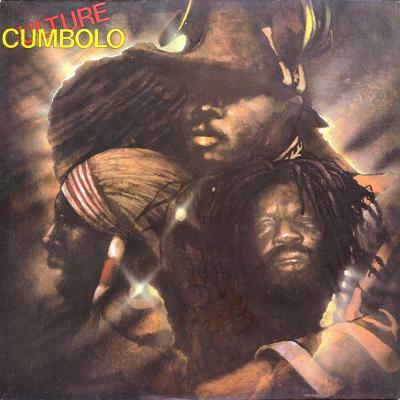 This was church music, roots music, music that came from the South, from African, from Jamaican, from family gatherings; the album Cumbolo was one of my favourites. It has some of Joseph Hill's best song writing; songs like 'Innocent Blood', 'They Never Love In This Time', and 'Natty Never Get Weary'. It also contains his version of 'This Train', a song I knew from The Delmore Brothers and Hylo Brown's country records.